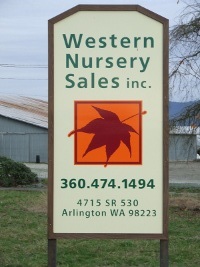 Western Nursery Sales, Inc. started out as a small wholesale nursery in Monroe, WA in 1994. The owners saw an opportunity for a company that could provide a quick turn around for immediate jobs, with jobsite delivery. Since then, we have built up an infrastructure that can provide customers with the materials for their project, whether it is tomorrow or in six months. 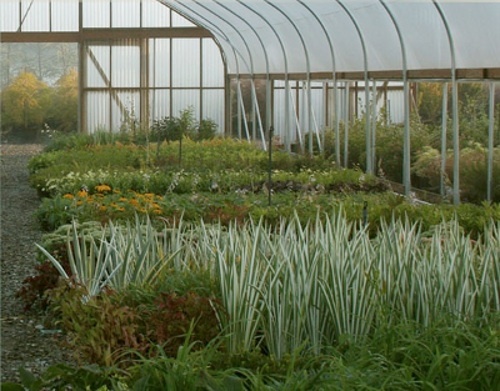 Our move to Arlington in 2004 provided us with 'room to grow', and we now have over 20 acres of managed nursery stock. We specialize in jobsite delivery and total plant procurement from custom residential designs to large-scale commercial projects. What we don't stock, we order from local growers, as well as specialty growers from Canada to California. To find us from I-5 take exit 208 and head East on Highway 530. We are 1.5 miles down the road on your left. Watch for the Sign shown above and the white fence on your right. From State Route 9 turn West onto Highway 530 in Arlington. Please note that Mapquest will NOT get you here accurately. For a simple map, please click here.